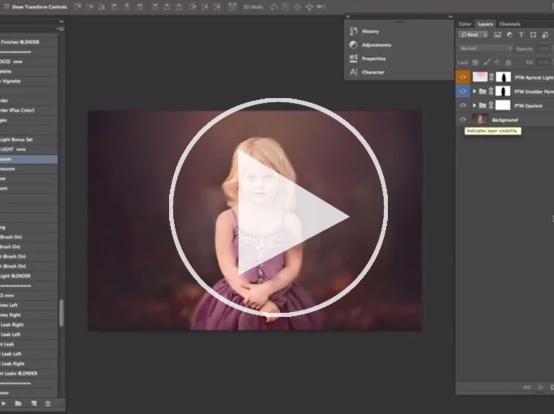 Photoshop actions to easily create vibrant, colorful and creative looks. 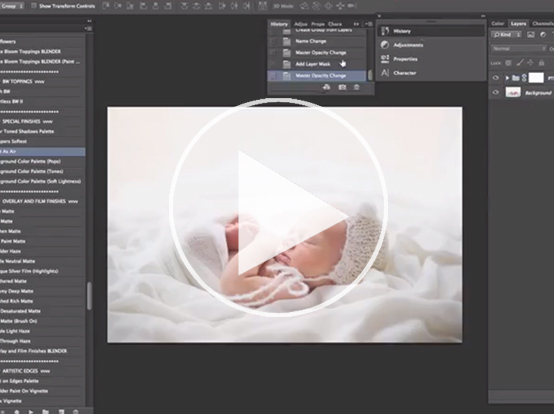 Achieve professional results and save time – bring your vision to life! 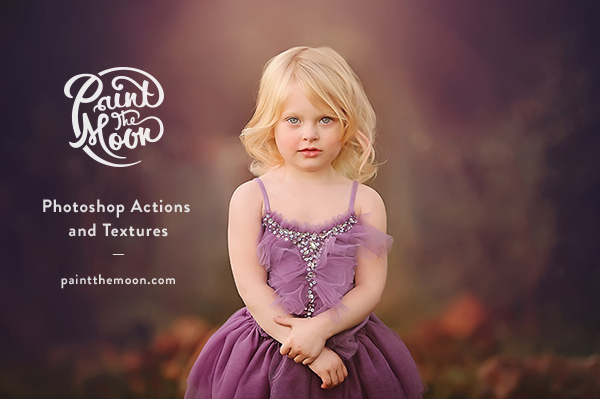 The highly acclaimed Grace Collection Photoshop Actions include over 145 actions to be used in endless combinations. 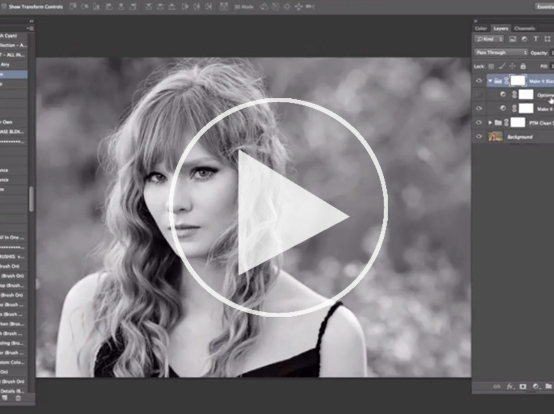 These actions are perfectly designed to work together to provide the editing toolbox to save time and make your images shine. Innovative “Blender” actions allow you to play all actions in a category to quickly try them all or quickly mix and match actions to customize your own look. Spend less time editing and more time doing what you love. Create vibrant, colorful, creative and professional photos quickly. Included with your order are product and support guides, access to an extensive video library, plus unparalleled email and chat support. Put a wide array of essential edits, corrective and special brush on actions to work — plus unique All-In-One workflow actions! Get beautiful, unique color toning and special finishes with a diverse set of artistic actions. Infuse your images with beautiful light, including movable sun flares, brush on natural light, light leaks and more. Within the 52 action Awaken set you’ll find an arsenal of powerful “workhorse” actions for a clean, vibrant edit and unique All-In-One creative actions that combine a base edit with a unique, creative look in one-click. The All-In-One actions combine all your essential edits in one action including exposure adjustments, contrast boost, temperature helpers, color pop, sharpening, highlight and shadow recovery and much more in just one click! Awaken also has a huge array of specialty brush on tools which are indispensable for corrective and enhancing edits. You’ll also get an array of amazing one-click finishing touches. The 62 action Bloom set includes a wide variety of artistic looks and finishes. Achieve beautiful color toning; deep, rich matte looks that are full of color; soft pastels with delicate hazes; lush and vibrant color pops and styles that are reminiscent of film photography. So many possibilities for your images! As a special bonus with the full collection purchase you’ll receive the Blooming Light set! This bonus set is created to infuse your images with beautiful light including movable sun flare actions, radiant and soft brush on color overlays and other special creative touches such as light leaks and paint on light. I used the Grace Collection actions for my last session and I cant describe how happy and excited I am. I feel more in love and confident about my pictures and most importantly my client LOVED it too and her friends started asking for sessions. Thank you sooooo much!! I just wanted to tell you THANK YOU. Your Paint the Moon Photoshop Actions and your tutorials have helped me to take my photos to a another level. When I started this business I didn’t know anything about photoshop, and your actions helped SO MUCH! I bought the Reverie and Grace Collection Bundle and love them!!! Your actions have saved me hours of post processing, thank you so much!! 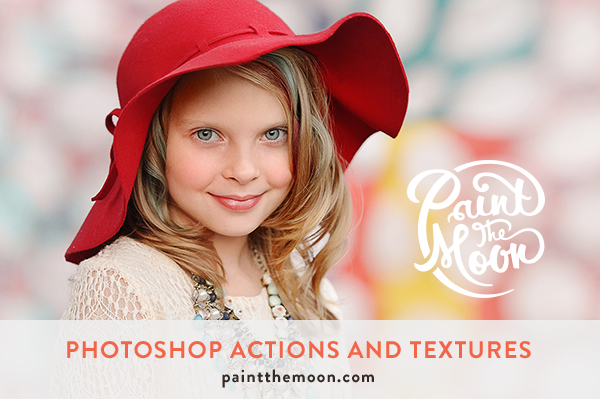 Annie, I am absolutely in love with the Paint The Moon Photoshop actions I purchased and can not express enough how grateful I am to have been able to purchase them from an independent business owner. Thank you so much!! I look forward to the next sets you put out. Thank you!! No matter how much I learn to do in Photoshop I always come back to your actions for my editing. Still couldn’t do it with out you!! Thank You!! Create lush looks from rich color pop to soft, dreamy effects. Add artistic light and pretty skies. Complete workflow actions, specialty Outdoor and Beach mega actions, bokeh and quick portrait touch-ups. Ultimate portrait retouching set for creamy, smooth skin, eyes that sparkle and perfect skin tones. Includes beautiful, powerful All-In-One makeover actions plus essential workflow tools for clean, sharp photos. Turn your photos into art using Luminosity’s powerful clean edits to pop and brighten, with an array of actions to add unique artistic tones and hazes. Includes All-In-One black and white actions, plus color foundation edits.